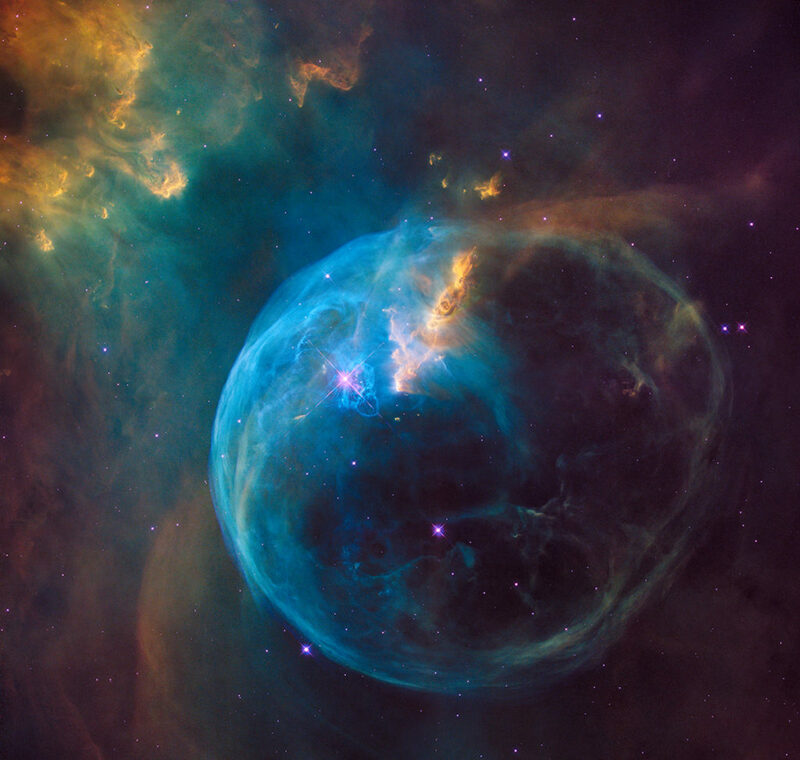 April 23, 2016 – For the 26th birthday of NASA’s Hubble Space Telescope, astronomers are highlighting a Hubble image of an enormous bubble being blown into space by a super-hot, massive star. The Hubble image of the Bubble Nebula, or NGC 7635, was chosen to mark the 26th anniversary of the launch of Hubble into Earth orbit by the STS-31 space shuttle crew on April 24, 1990. The Bubble Nebula was discovered in 1787 by William Herschel, a prominent British astronomer. It is being formed by an O star, BD +60º2522, an extremely bright, massive, and short-lived star that has lost most of its outer hydrogen and is now fusing helium into heavier elements. The star is about four million years old, and in 10 million to 20 million years, it will likely detonate as a supernova.